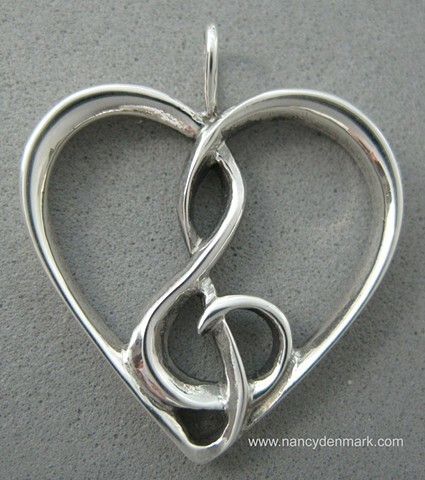 This is one of the first designs I added to my "From The Heart Line" series. With the initial "calling", I created a body of work in this series and headed off to to show my work for the first time at an outdoor art festival. It was The Texas State Arts and Crafts Fair in Kerrville, Texas in May of 1988 where I introduced most of the early designs in this series.